If you haven't had a chance to get onto Pinterest yet, you definitely should check it out! Pinterest is basically a method of "bookmarking" but with pictures. You can create different "boards" (or folders) and you "pin" things onto those boards depending on what they are. 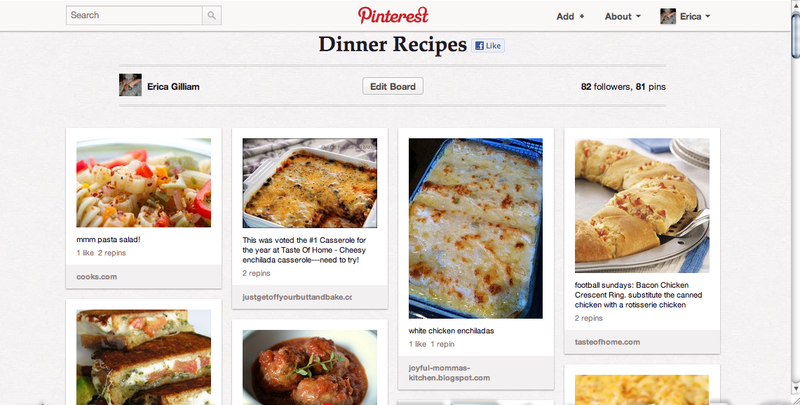 I have boards with recipes, decoration ideas, organization, fashion, etc. It is an amazing way to find creative ways to do every day things or to find a new way to look at the spaces around you! I have tried some recipes that have become staples in our home and found some great desserts that I will never forget! 1. 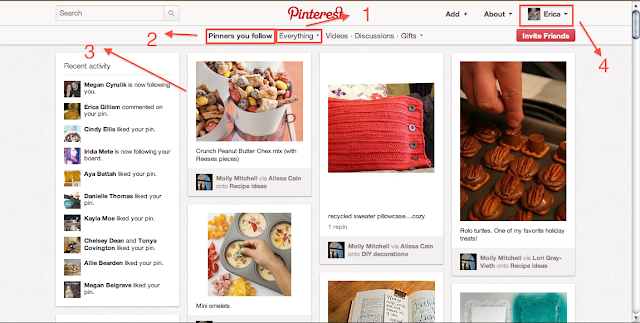 The Everything Button: This button allows you to see a random group of everything that anyone on Pinterest has pinned. You can also choose based based upon your interests as well. 2. Pinners You Follow: This will take you back to the current screen. This shows you all the pins from anyone that you have chosen to follow. 3. These are the actual "pins" that people have chosen to pin. 4. 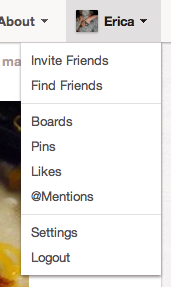 See side image: when you click on your name it will bring up this drop-down menu. If you click boards it will take you to a list of all the boards you have chosen to make. 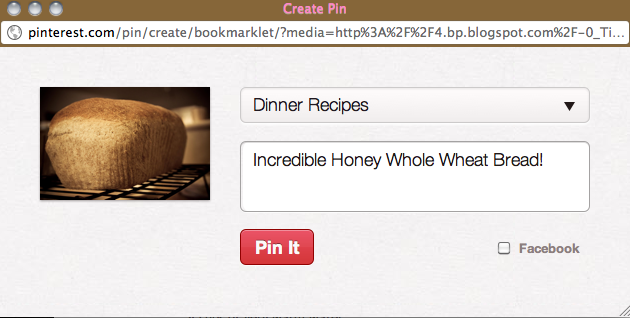 If you click Pins, it will take you to a list of your pins, etc. The above image is what you see when you click "boards" on your drop-down menu. This shows you all the boards that you have chosen to create. As of right now, I have 30 different boards containing 1240 different pins. If you click on a specific board this is what you will see. It will show you all the Pins that are included within that Board. These are just two examples of the boards that I have. 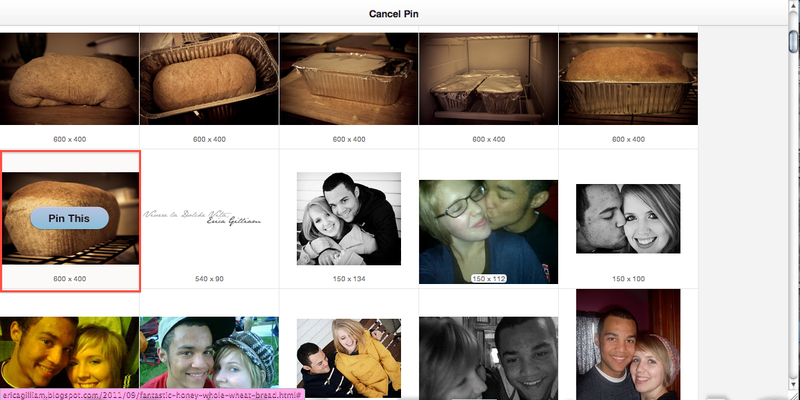 This is the "pin" screen. This basically gives you more information on the pin as well as a chance to do more with that pin. 1. This is the website that this specific pin came from. If you click that link it will take you to the blog post or website that is specific to this pin. So in this case, it would take you to the link for that specific recipe. 2. This is the board that it is currently under, this could be a board you made (if you have pinned this item) or a board that someone else has made. If you click that area it will take you to that entire board. 3. If it's a board someone else has made and you really like it you can chose to "follow" that board. That will make any pins put into that board appear on the "People You Follow" page. 5. If you don't want to repin something but you do want to show that you like it, you can click the like button. This will simply put it on a like page and show the other person that you like it, very similarly to Facebook. 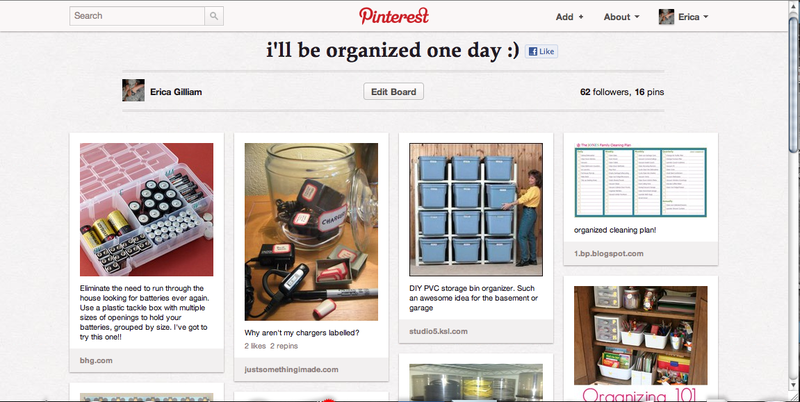 This is the Repin screen where you can choose what board it will go into and how you want to describe it. This is the best feature I think. 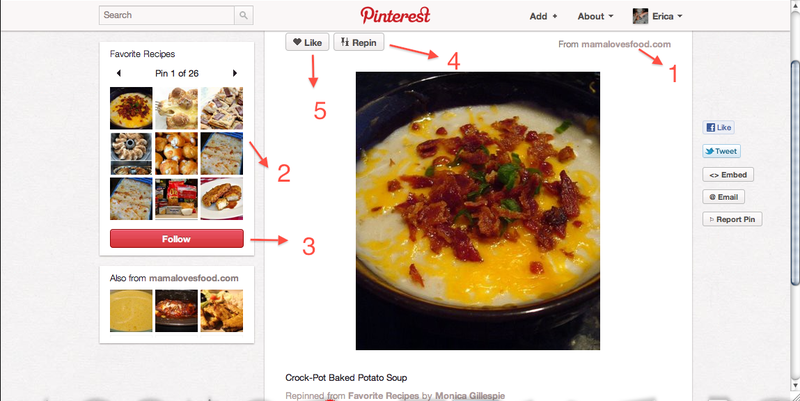 If you are on a food blog and you really want to remember this recipe or you see a picture and you want to save that picture to see later, simply click the little world icon in the red square above (you have to download this from Pinterest). Once you click the world icon you will see a page that brings up every (recognizable) image on this website. Simply choose the one you like the most and then hit "Pin This"
This screen is very similar to the one on e website. 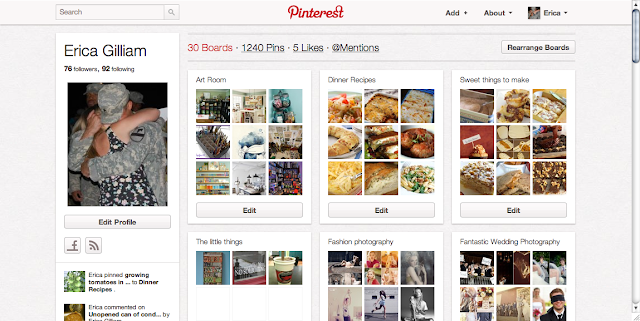 You will pick your board and describe the pin and it will automatically put it on Pinterest for you! This is definitely one of my favorite websites out there right now! If you are already on it, what are some of your favorite pins? Please share them below!